Boston Mayor Marty Walsh said Thursday that the city has reached an agreement to allow the iconic sign to remain in place but not as an official city landmark. The Citgo sign illuminating Kenmore Square is part of Boston’s identity, and it looks like it won't be going anywhere for years to come. Landmark status comes with major restrictions, but this new 30-year deal gives the building’s owner more flexibility to make changes around the sign. The agreement was announced jointly by Walsh, Citgo Petroleum, Related Beal and Boston University. The building at 660 Beacon St. where the sign sits was owned by BU before being sold to global real estate firm Related Beal in 2016. While the sign is owned by the oil company, the land is still owned by BU. 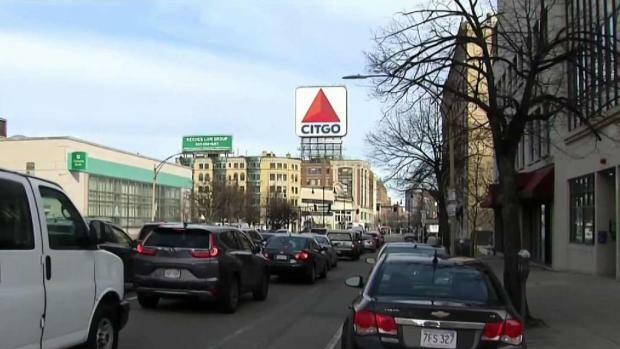 Boston Mayor Marty Walsh said Thursday that the city has reached an agreement to preserve the iconic Citgo sign and allow it to remain in place in Kenmore Square. Prior to the sale of the building to Related Beal, there had been concerns that new owners might decide to remove the sign. “It would be a shame to take it down,” one woman said. A spokesperson for Mayor Walsh’s office says it’s not going anywhere and there will be no drastic changes. “I’m excited about it because a lot of people expressed their concerns about losing the Citgo sign over the Boston skyline and it will there now for a long, long time,” Mayor Walsh said. The new agreement does, however, allow developers to make small modifications around the sign. There’s been talk of possibly elevating it to enhance visibility and now Related Beal has more flexibility if it chooses to renovate the building. But Mayor Walsh says any alteration would have to get city approval. “They’re looking at raising the sign a bit more to have a better view for other people but they can’t make any changes to the sign unless it’s approved by everyone,” said Mayor Walsh. Related Beal and Citgo have reached an agreement that will ensure the landmark Citgo sign remains in Boston's Kenmore Square. 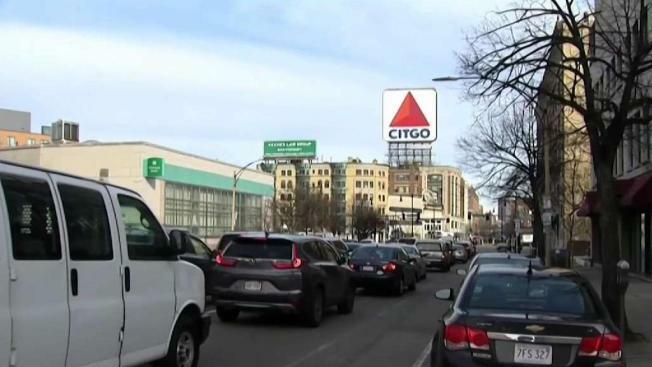 Earlier this month, the Boston Landmarks Commission voted unanimously to give the Citgo sign landmark status, meaning it could not be moved, altered or obscured by other buildings. The unanimous vote came following a 2-year campaign from local preservationists and Citgo to ensure that the 60-foot sign retained its place in Boston's skyline. The report recommending the landmark status said the sign has become a cultural symbol in Boston "far beyond gasoline." Mayor Walsh vetoed the landmark status as part of this new deal, lifting the restrictions, saying if he had signed the landmark status, no deal would have been reached. “The best outcome was for the people who wanted the Citgo sign to stay,” he said. We still don’t know all the details of this agreement or if there are any protections in place. What’s clear is that all the stake holders have agreed to keep the iconic sign in Kenmore Square for the next 30 years. Aside from the city, no one returned NBC10 Boston’s requests for comment Thursday, but they did release a joint statement that reads in part, “We are pleased to share that we have reached a long-term resolution that will preserve the Citgo sign and allow for it to remain in place in Kenmore Square for years to come, recognizing the significance that this sign has on our landscape in Boston while balancing the opportunity for our horizons to continue evolving in future years." The Landmarks Commission also declined to comment.